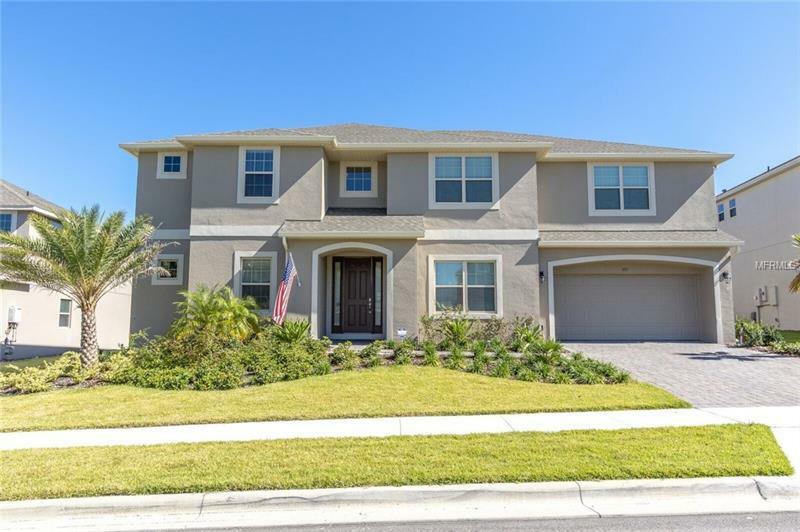 Take a look at this beautiful 6-bedroom/3.5-bath home with 4181 sq. ft. in The Canyons at Highland Ranch. This home has beautiful curb appeal inside you will find a spacious & open floor plan with tile throughout the first floor. It features formal living & dining rooms & a large open family room with vaulted ceilings to the second floor. High windows allow natural light to filter into the living space & a second-floor balcony opens to the room below. The gourmet kitchen has elegant upgrades. It features Silestone countertops & stainless-steel appliances including a gas range & double ovens. The beautiful 42â cabinetry features crown molding & is accented with under cabinet lighting & pendant lights. A large breakfast nook overlooks the backyard & gives you plenty of room for casual dining. The large master suite is on the first floor & has a tray ceiling recessed lighting & a door to the covered lanai. Enjoy a large master bath with dual vanities his & hers closets a garden tub & walk-in shower. 5 additional bedrooms are upstairs 2 are connected by a Jack and Jill Bath. You will also find a large bonus room & a media room upstairs. The covered lanai is a perfect place to unwind. If you enjoy living the active lifestyle you will enjoy living in The Canyons at Highland Ranch. It features a park pool cabana splash pad pet station & 4 miles of walking trails. Close to shopping & dining & easy access to the South Lake Trail this home has everything on your wish list & more!